We inherited the mirror when we purchased our house back in December 2011. 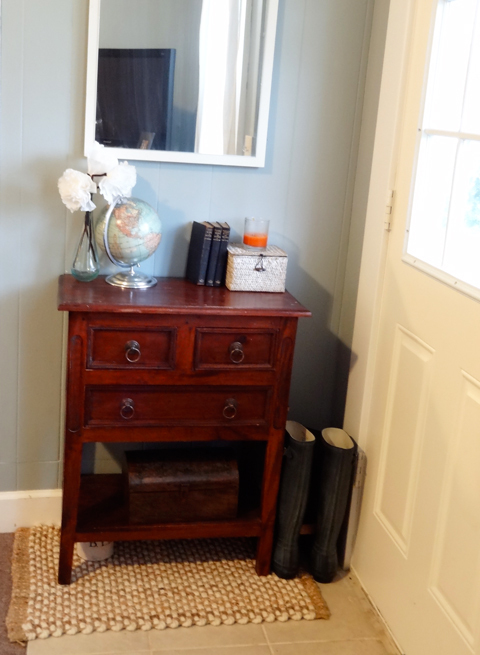 It used to live in the bathroom but got a new home just inside the entry when we gave our bathroom a facelift. 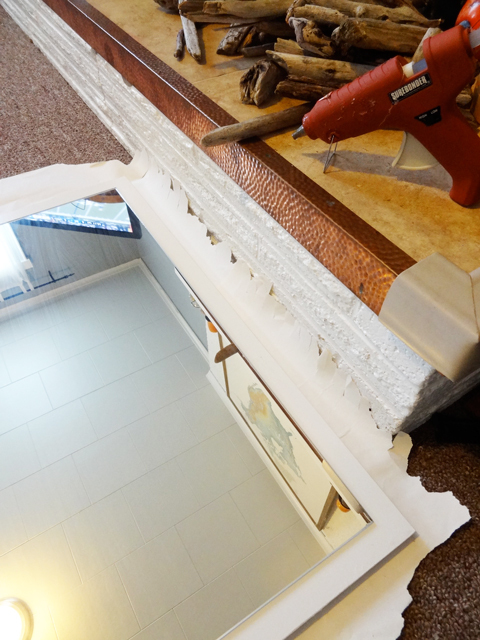 It's dreadful and incredibly cheap - a simple rectangular mirror glued onto a ridiculously heavy piece of white MDF. But, it's still a mirror and I knew that I could make it better. Much, much better. After a week of being sick I started to get a bit stir crazy and needed to work on something - aside from organizing our home which you can follow here, here, here and here. Since this project was something that has been on my to-do list for far too long, I finally broke out the glue gun, my stash of driftwood and got this project D.U.N. The process is pretty simple. I start by laying out a few pieces to check how they'll fit with each other then I glue and layer as I go. Repeat until the base is fully covered, including the sides. I place the most interesting pieces on the top layer so they'll be seen, rather than buried amongst the layers. 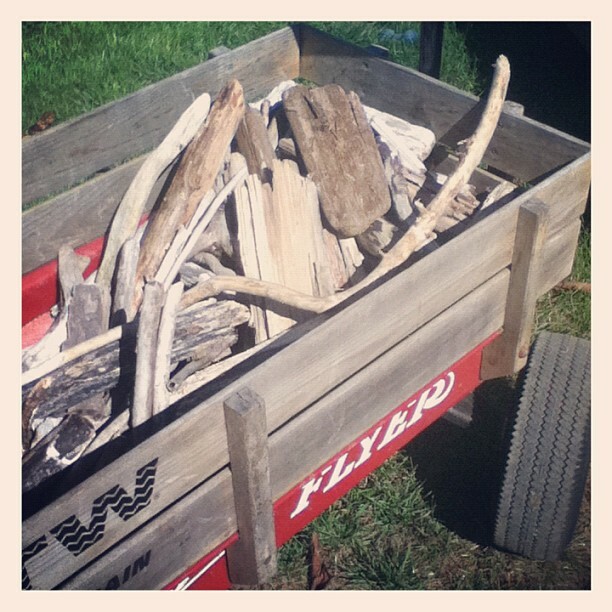 Remember, it's just driftwood - so if a piece doesn't fit perfectly break it up into smaller pieces to get the perfect fit. The hot glue was the perfect adhesive with its quick drying time. That meant that things wouldn't shift while I was layering, plus it promised to make this a quick project - under 20 minutes total. 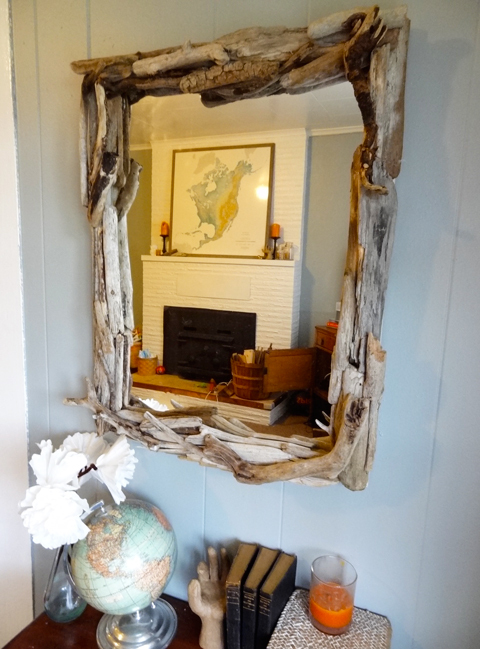 The driftwood adds personality and texture to what was a very plain and uninteresting mirror. 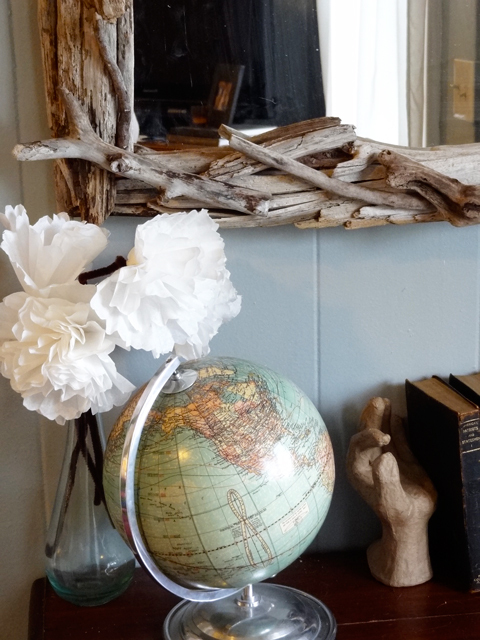 It plays off other natural elements in the room like the frame on the large map which currently sits on the mantle. 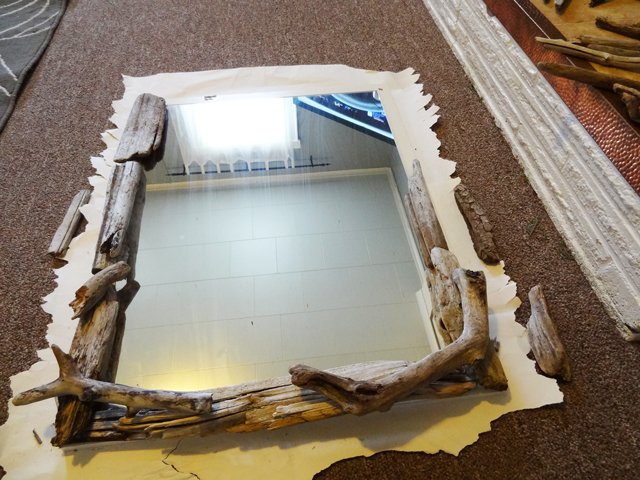 While I could have just bought a driftwood mirror there's something so special knowing that these pieces of driftwood were collected a block from our house and are an indoor reminder of the beautiful area we live in. So what about you guys? 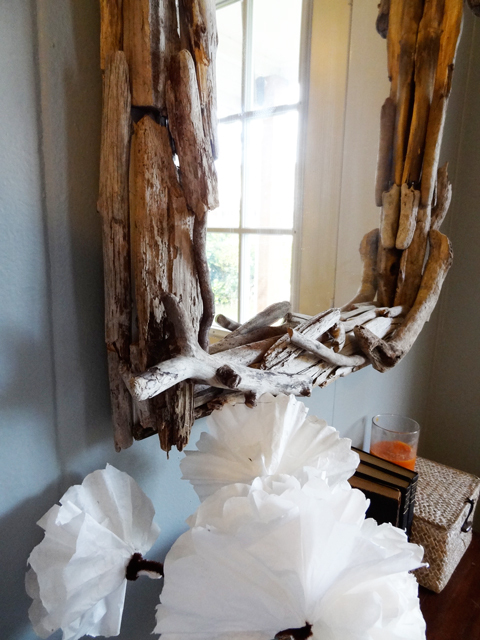 Have you created a knockoff driftwood mirror or decor? Or did that trend pass you by quicker than the seasons seem to be changing? Seriously that looks freaking awesome! Such a transformation from a plain mirror! Awesome job! A-thank you. Sister, you're the best. 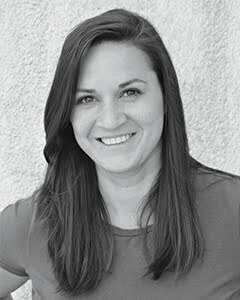 Thanks Bethany! It sure does look better, doesn't it! Thanks so much, Fran. I just love it. Wow! That turned out really well. I love when projects look fancy, but are cheap to put together.